Perfect for Indoor & Outdoor Events! 16 oz. Classic Mason Jar Tumbler is made of durable NAS Acrylic Plastic. USA Made and perfect for indoor or outdoor use. 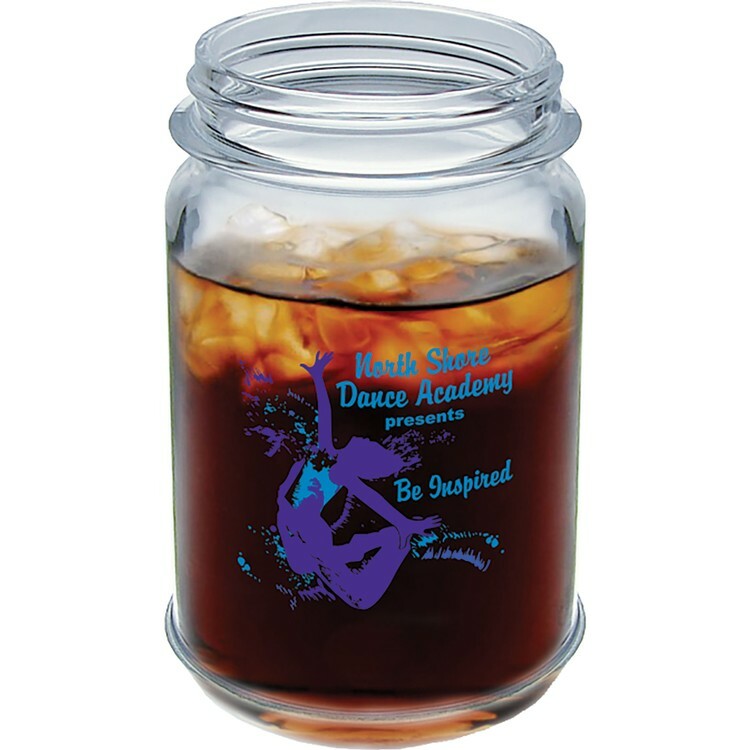 Optional Gold or Silver Lids and frosted flex-straws available. Prices include a one color, one location imprint. Multi-color imprint, 2nd side imprint and full color process imprinting are available. Top rack dishwasher safe, BPA free, FDA approved and recyclable. Also available in a handle style and a 32 oz. Pitcher w/handle.